STOCK ISLAND: YEARS AGO, THAT phrase would have elicited a “Huh?” from anyone visiting the Florida Keys. It’s not a bustling tourist hub like Key West, that’s for sure, but our neighbor across the Cow Key Channel Bridge is coming into its own. 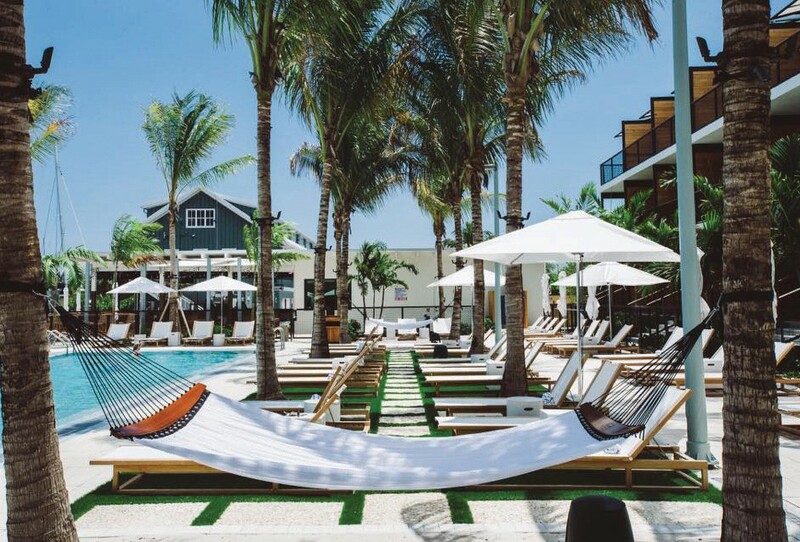 And with the opening of two stellar hotels, a state-of-the-art marina village, a plethora of artists’ studios and dozens of delicious food options from food truck tacos to woodfire oven pizza, it’s safe to say our little Stock Island is all grown up. 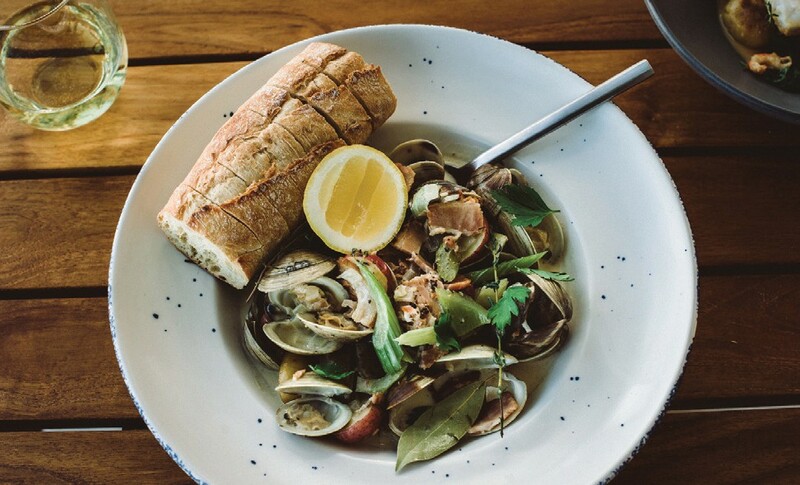 Case in point: Within a mere year of opening, Stock Island’s swanky new Perry Hotel has partnered with its neighbor, the Stock Island Marina Village, and local news outlet The Stock Island Times to create its very own seafood and beer festival. The Shrimp Road Seafood & Craft Beer Festival will take place from noon to 5 p.m. on Saturday, April 14 and is billed as the first festival to truly focus on what the Florida Keys do best seafood that was swimming mere hours before it hit your plate… plus beer, because we are still in the Keys and, at this point, do we really need an excuse to celebrate with an adult beverage? The Stock Island Marina Village has become a social hub on Stock Island. With 220 slips and complimentary dockage for sailors just looking for a good meal, the marina has become one of the most sought-after spots for serious boaters and novice day-trippers alike. 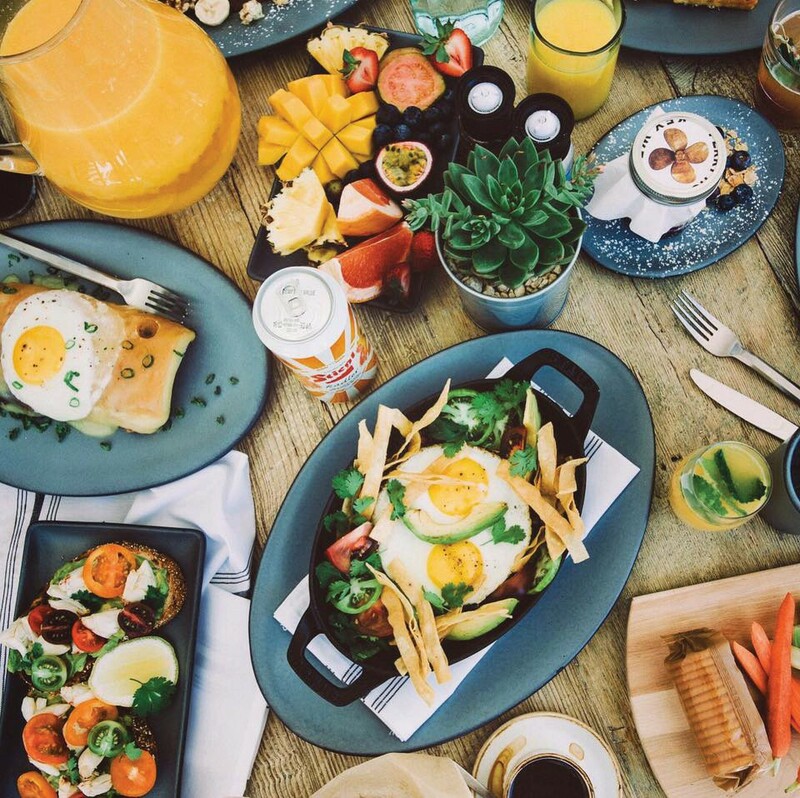 Local favorite restaurant DeLuna’s Bar & Grill has set up a location on the property, which means you can now get authentic Cuban cuisine and have a drink at the Chickee Hut Bar while you explore the village and take in local musicians jamming on their tiki hut inspired stage. The festival organizers, namely Rick Carter from the Stock Island Times, Mike Hartman from the Stock Island Marina Village and Christina Grassi of DeLuna’s Bar &Grill, have assembled delicious treats from the best restaurants in Stock Island, including Matt’s Stock Island Kitchen & Bar, Lost Kitchen Supper Club, DeLuna’s Bar & Grill, Salty Oyster Dockside Bar & Grill, Roostica, El Siboney and Hogfish. 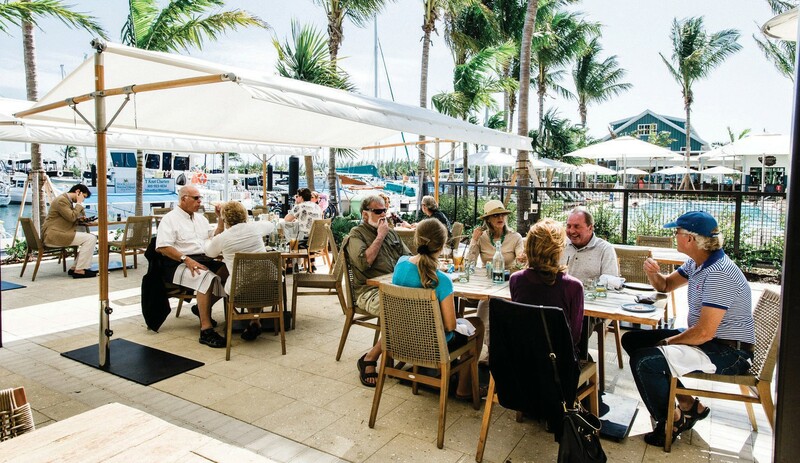 Restaurants from up the Keys, including fish on Sugarloaf Key, will also be serving their delightful dishes while craft breweries tempt you with their carbonated concoctions. And we all know that, no matter how fresh that Florida lobster may be, nothing tastes as good as a cold beer on a hot day. 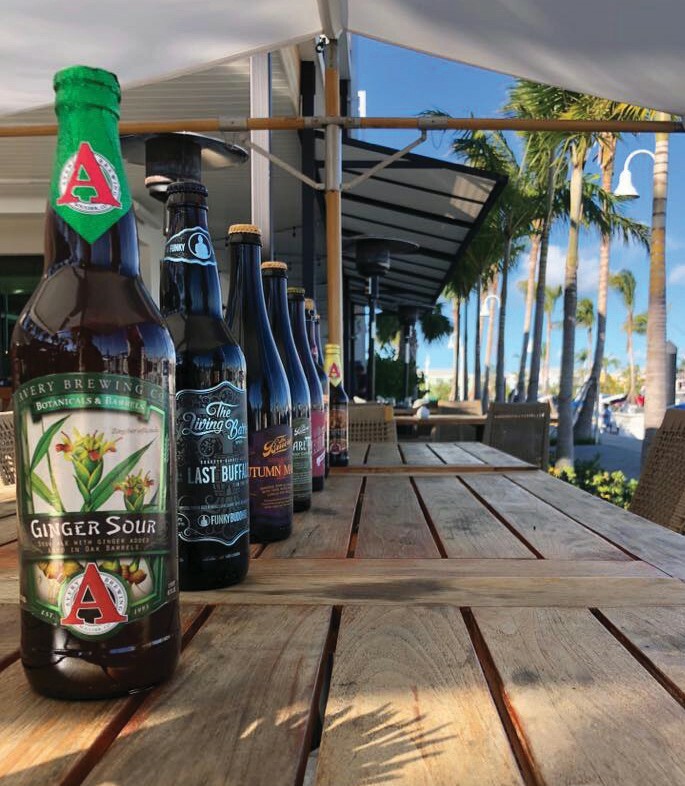 Featuring over 50 craft brews from 16 breweries both far-flung, like Left Hand Brewing Company of Longmont, Colorado and Magic Hat of Burlington, Vermont, and right here in our South Florida backyard, like Florida Keys Brewing and Wynwood Brewery of Miami, the Shrimp Road Seafood & Craft Beer Festival is a beer lover’s paradise. Top: The Stock Island Marina. Left: The pool at the Perry Hotel and some of the options that will be available at the festival. But if the promise of the freshest seafood available and dozens of craft beer options wasn’t enough to get you to the Stock Island Marina Village on Saturday, there will also be over 30 artists and artisans on hand peddling their crafts plus live music to make your afternoon all the more mellow. 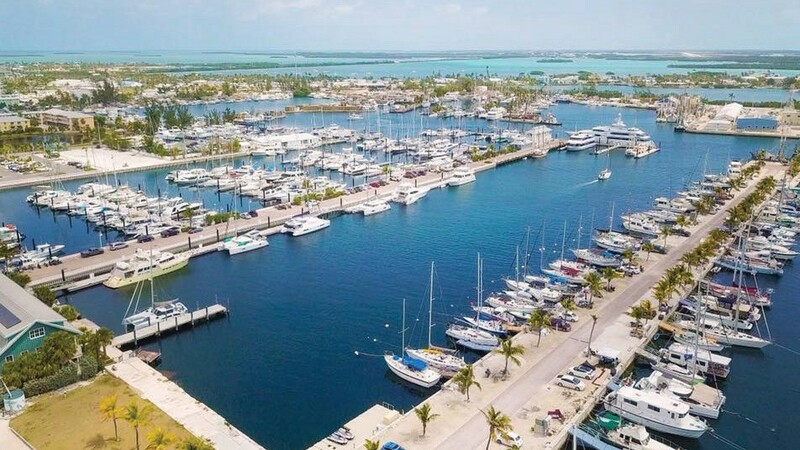 The main pier of the Stock Island Marina Village will be packed with local craftspeople selling unique gifts and works of art. Later in the afternoon, local super band The E’Claires, helmed by master bassist Claire Finley, will perform from 2 to 5 p.m., which is right about when you’ll probably be ready to kick off your shoes and grab a seat under the shade of one of DeLuna’s umbrellas with a frosty brew in one hand and a fish taco in the other. Speaking of the Perry Hotel — need somewhere to crash after you crush a few beers and pop a button on your favorite Vineyard Vines critter shorts? The five-star Perry Hotel is on site and ready to accommodate. For the weekend, the luxurious hotel is offering a special two-night stay plus two tickets to the festival via its website. Details can be found online at www.perrykeywest.com/offers/shrimp-road-seafood-craftbeer festival-weekend. Trust us, you’ll be glad to know you only have to walk a few paces to pass out after you’ve gorged yourself on heavy beers and metric tons of succulent seafood. And if you just can’t get enough of the tranquility of The Perry Hotel and the Stock Island Marina Village, stick around for the after party at the Salty Oyster Raw Bar where there will be plenty of live music, snacks and beer to keep you satisfied until 8 p.m., when (if you’re really going for the gold) you can transition from the bar to one of the Perry’s outdoor fire pits across the pool and have a cocktail from the bar at Matt’s Stock Island Kitchen & Bar (man cannot survive on beer alone — sometimes a tequila or two is necessary to break up the bubbly monotony). With so many options, you should just plan on spending the entire day on the Shrimp Road properties. Why leave when you can get everything you need right where you are? General admission tickets to the festival cost $10 and gain you admission to the event pier and the live music stage and access to all of the non-alcoholic beverage options. Beverage Admission tickets to the festival run $55 per person and include all of the above plus all the craft beer your hoppy heart could desire. VIP tickets are $95 and provide exclusive access to extremely rare craft brews in the comfort of the Captain’s VIP Lounge, where Duvel Brewery will be on hand teaching VIP guests how to pour the perfect pint. A portion of the proceeds from the Shrimp Road Seafood & Craft Beer Festival will go to the United Way of the Florida Keys to help them continue their efforts to assist local charities in the wake of Hurricane Irmaa noble cause, as if you need a reason to justify all the imbibing and ingesting.